Horrid Henry series turns 25! Get brand new book Up, Up and Away now! 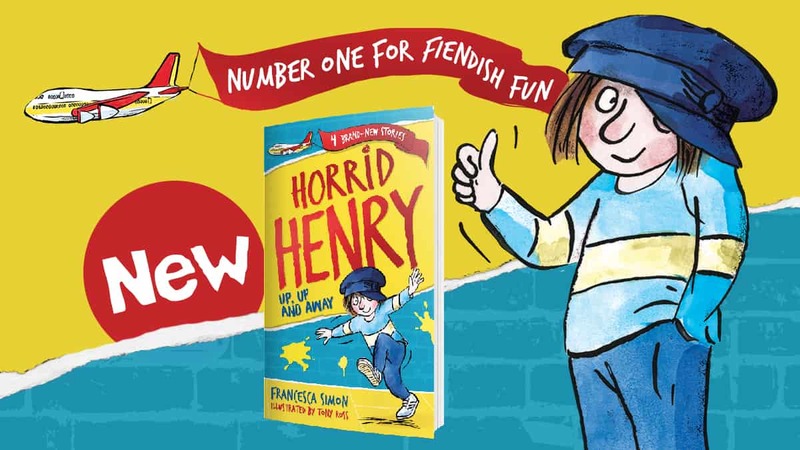 Horrid Henry is back and naughtier than ever in this brand-new book! The new book is called Horrid Henry: Up, Up and Away and it contains four brand-new stories! Could it be his most fiendish adventure ever? Not only is Horrid Henry: Up, Up and Away the 25th book in the series but 2019 also marks the series’ 25th birthday! Written by Gold Blue Peter badge-winner Francesca Simon and illustrated by Tony Ross, these stories are a great introduction to reading, featuring one of the most-loved characters ever!